The client had a dead line determined by an early winter. The Caspian is frozen over from September and often too shallow for boats during the short summer months so to ensure dead lines were met hovercraft were the solution to logistics during the construction phase. 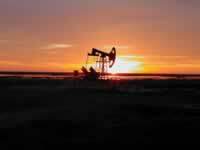 Delivering fuel over a thawing Caspian sea. The 2nd hovercraft "Idun Viking" was enabled for crew changes or emergency evacuation. Above shows "Idun Viking" in September snow. 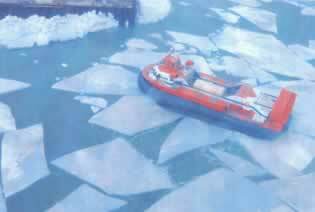 Later,we had temperatures of -30 and recorded a record -40 offshore, that creates the problem of diesel and propeller blades icing up. 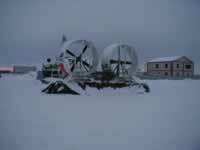 The preparation of the two hovercraft was done in Belgium where I headed a team of engineers refurbishing and making modifications to suit the sub zero conditions. "Manta" had a demountable crane fitted to deploy oil spill equipment and quickly convetted back into a passenger carrier. 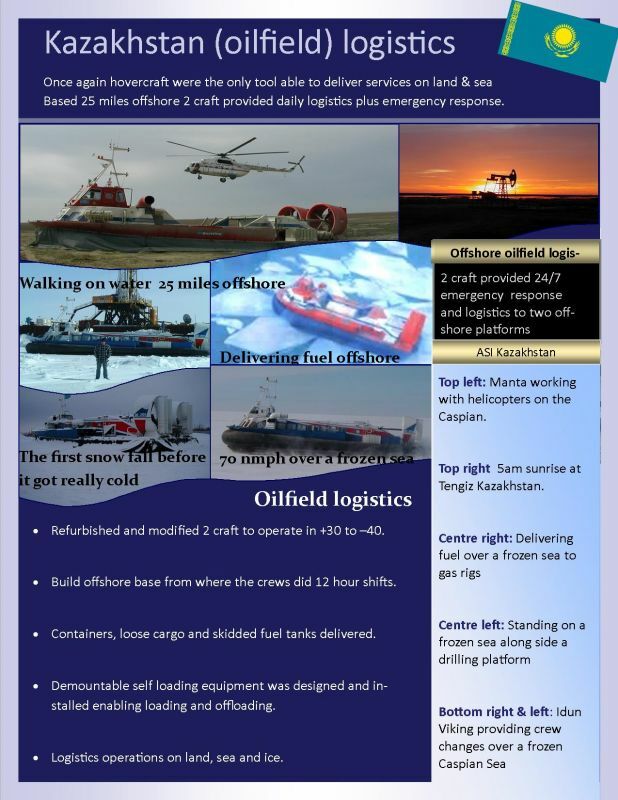 Daily field logistics were mostly to plan but to be fully effective for emergency response we located one hovercraft on a converted barge part way between the two drilling platforms and the crews did 12 hour standby shifts from the barge 25 miles offshore. The barge (floating landing platform) was equipped with routine maintenace facilities, shift facilities, fresh and waste water tanks, statelite communications and 220v power. The roof and seats are fitted ready for for crew changes but the crane is also ready for deploying oil spill response equipment or loading cargo. It takes a 30 minutes to remove the roof & seats ready for a container to be loaded.